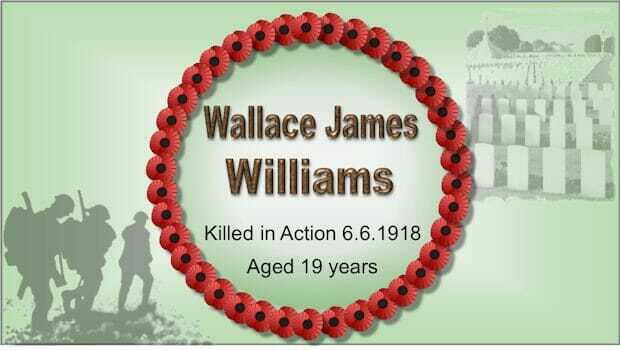 Wallace was killed in action on 6th June 1918 during the Kaiser’s last Battle. He was 19. 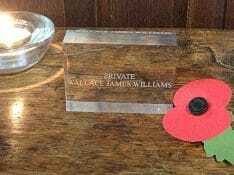 Wallace James Williams was the son of James Williams of Aynho and Elizabeth born in Kings Sutton. 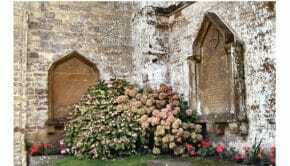 James was firstly a carter then a farm worker, and predeceased his son. Wallace enlisted at Oxford and may have served in both the Machine Gun Corps and the Cyclist Corps before joining the Northumberland Fusiliers. He is buried in grave II C 2 Sandpits British Cemetery, Fouquereuil, along with more than 30 comrades from the Fighting Fifth. 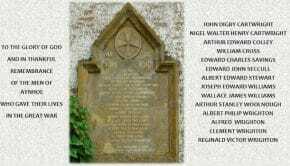 Wallace was typical of these men; most were aged 20 years and died in June 1918. They had died stopping a last desperate attempt by Ludendorff to break through the British line and head to the Channel coast. The Northumberland Fusiliers raised more battalions during the war than any other of the regular army regiments, 51 in all, and its total of dead was the highest, 16,000. 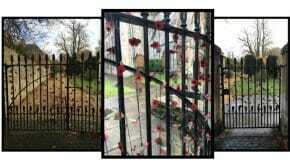 The 1st Battalion was in Portsmouth in August 1914. The 1st NF was in the 9th Brigade commanded by Brig-Gen Shaw, in General Haldane’s 3rd Division and it needed 621 reservists to bring it up to war strength. It arrived in France on 14 August 1914 and was soon in action at Mons in which battle 3rd and 5th Divisions bore the brunt of the fighting, and thereafter saw action in all the major engagements of 1914 – Marne, Aisne, La Bassee, Armentieres and Ypres. The battalion remained on the Western Front, in the same brigade and division, for the rest of the war; in all it suffered 1,742 dead.